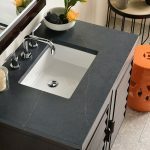 James Martin Vanities is launching exquisite new designs and finishes and introducing five new Silestone Quartz tops. 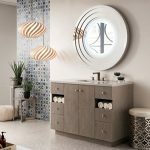 Recognized for the second consecutive year by Inc. Magazine as one of the Top-Fastest growing private Companies in the US, James Martin Vanities is launching exquisite new designs and finishes and introducing 5 new Silestone Quartz tops, several of which will feature the N-BOOST technology at KBIS, Feburary 19-21, 2019 Las Vegas Convention Center – Booth SL 262. In 2018 James Martin announced its collaboration and partnership with Cosentino Group of Spain. 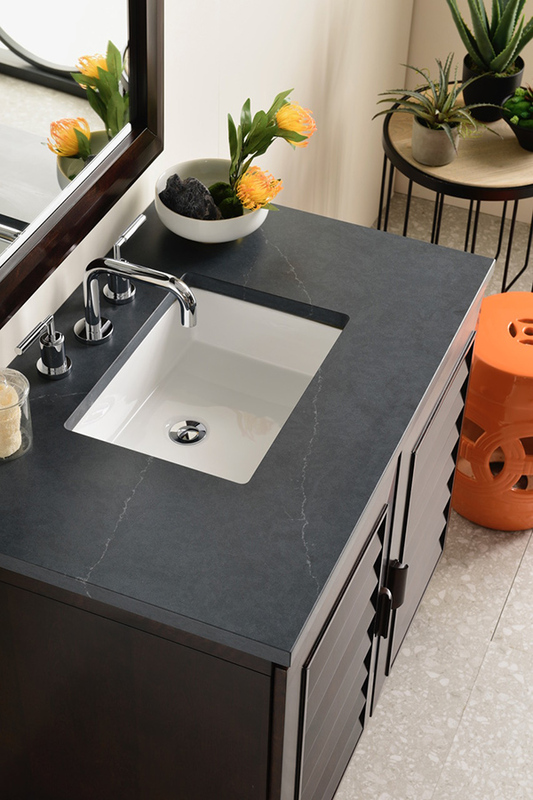 Adding Silestone quartz by Cosentino takes their quartz top options to a whole new level of functionality, durability, class and style. 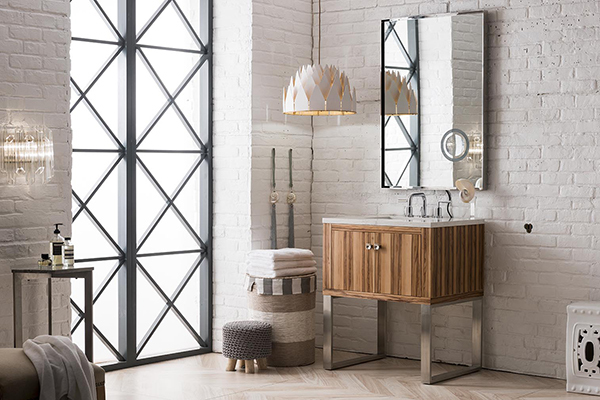 As “nature-inspired” surfaces continue to be a hot trend in bathrooms, classic looks are also on the rise with whites getting warmer and dramatic blacks seeing renewed interest. Textures are also in high demand for 2019. Cosentino’s N-BOOST is a revolutionary technology the improves the DNA of surfaces. This innovation prevents the adhesion of liquids, enhances shine and intensifies color. The Hydo-repellent properties prevent the absorption of everyday liquids, cleaning up even after hours or days of left- over spills. N-BOOST creates a more even surface causing light to reflect off more intensely making colors more authentic. 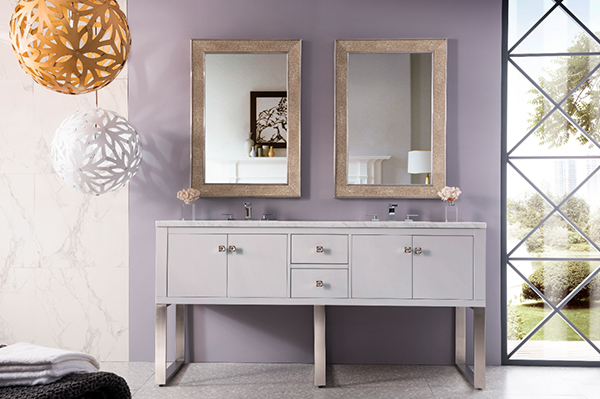 Cosentino Group is a global, Spanish, family-owned company that produces and distributes high value innovative surfaces for the world of design and architecture. They work together with their clients and partners to provide solutions that offer design and value and inspires the lives of many people. They pioneer leading brands in their respective segments such as Silestone®, Dekton® or Sensa by Cosentino® – Technologically advanced surfaces that allow the creation of unique environments and designs for the home and public spaces. 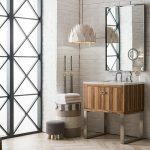 James Martin Vanities is a leading manufacturer of bathroom vanity cabinets and was recently recognized in Inc. Magazine as one of 2017’s Top-Fasted growing private companies in America. 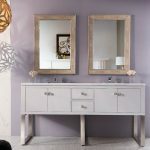 With over 100 years of combined furniture experience, the founders of James Martin set out to build bathroom cabinets using the same uncompromising techniques, standards, and quality that can be found in fine furniture pieces. 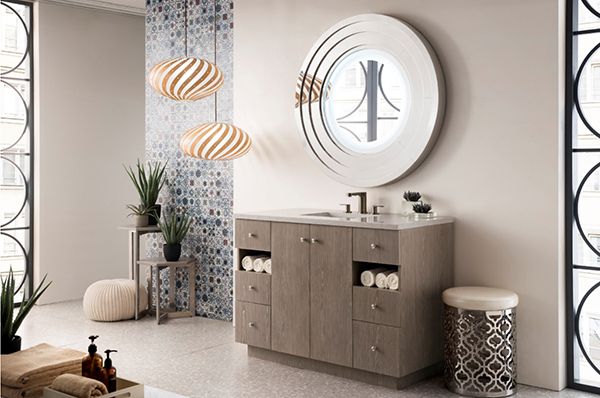 We believe that by incorporating the look of fine furniture into your bathroom, we are able to help your bathroom become an oasis from the day and a beautiful accent in your home.